A person can be best judged by his work, S.P.Singh Oberoi, 60 years old, Dubai based Businessman from a small town in the northern India State of Punjab. In 1975 he started his carrier as an Engine Mechanic in Pandoh Dam Himachal Pradesh. He came to Dubai in 1977 as a mechanic, returned to India after 4 years to start his material supply & Construction Company in Punjab, Indianamed “Pritam Singh & Sons”. Under this company he successfully accomplished many projects like roads, canals, bridges, sewages, hotmix plants &Railway line from Beas to Goindwal Sahib. He shifted to Dubai in 1993 & started his own General Trading CompanyApex Emirates General Trading L.L.C, in 1996 Apex International Construction, In 1998 Dubai Grand Hotel & in 2004 Oberoi Properties & Investments LLC. The Apex Group of Companies specializes in supplying state-of-the-art equipment, machinery and services for the construction industry, especially for the piling and testing of building foundations, as well as the de-watering and anchoring of shallow and deep excavation sites. Dubai GrandHotel was also part of Apex Group, which was opened in 1998 – 2014. Hotel combines excellent accommodation with outstanding value for money. The hotel complex comprises of 147 luxurious rooms, 3 deluxe suites and 1 presidential suite. Chairman of Apex Group of Companies may be a businessman by profession but a philanthropist by nature. He has put in his own money to pay approx USD 1.8 million to secure the release of 58 Indians from the Death Sentence & Life Time Imprisonment. Mr. Oberoi paid the Air tickets of more than 800 prisoners (who completed their punishment but due to lack to funds couldn’t go back to their country) & sent them back with the help of Indian Consulate. 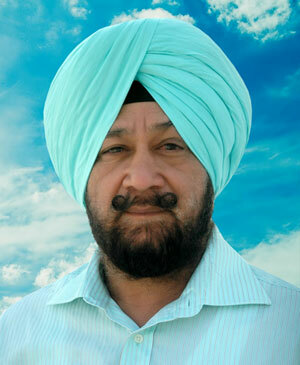 To secure the recent release of 17 Indian Boys hepaid USD 1.2 million, on 13.02.13 they reached their home country Punjab. Keeping with the spirit to giving back to society he believes - Do all the good, By all the means, In all the ways, At all the times, To all the people, As long as ever you can. Sarbat Da Bhala Charitable Trust is dedicated to social-economic transformation of rural and remote areas of India, especially the weaker and socially underprivileged groups, through physical, social, cultural and economic development of rural people, groups and institutions.